My son had a rash on his back, which worried him very much. He and zinc ointment smeared, and vitamins drank, and all is useless. Acne treatment. 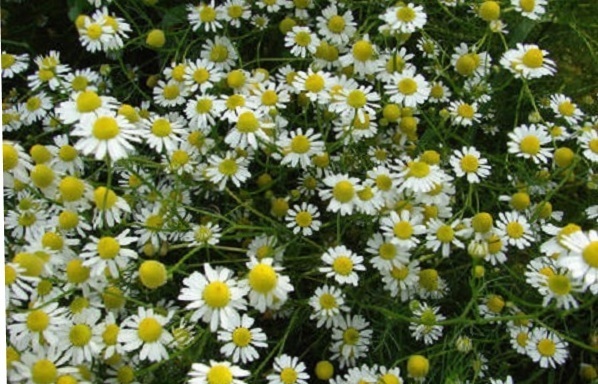 Finally, he turned to me for help: «Do, say what you want, and get rid of these nasty pimples.» And I decided to try the chamomile, many people know that the best remedy for skin inflammation than chamomile is not. Soaked in alcohol fresh flowers, withstood them for a week and filtered. This infusion rubbed the son of inflamed places, and then did a chamomile compress. You need to pick flowers of chamomile, take about 100 g and brew in a small amount of boiling water, so that a mushy mass is formed. This warm mass I put on gauze and attached to the inflamed skin. She put the tracing paper on top and covered it with a warm blanket, took it off in 20 minutes and then wiped it with a swab with chamomile infusion. Simultaneously, I brewed my son tea with chamomile, since it gives a good anti-inflammatory effect, not only externally, but also when ingested. A week later, his son’s back cleared, and at first he did not believe that a simple chamomile would help. After all, she lives under our feet all her life, and when we get sick, for some reason we run to the drugstore, but we need to lower our eyes to the ground, and look closely at what is growing there.